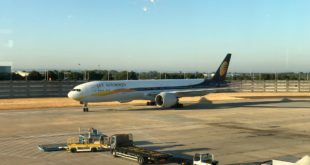 Home >> Analysis and Features >> Has the UDAN Regional Connectivity Scheme failed to take-off? Alliance Air (Air India Regional) ATR-42 VT-ABB. 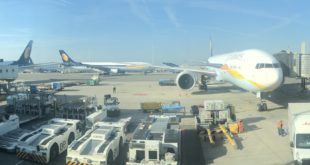 Has the UDAN Regional Connectivity Scheme failed to take-off? The Ministry of Civil Aviation recently announced revisions to the Regional Connectivity Scheme better known as UDAN (Ude Desh ka Aam Nagarik). The revisions and other industry developments show that the scheme has failed to takeoff. This is also reflects the hurried way in which the scheme was put out and the lack of consensus building and consultation. As a result several challenges are now coming to the forefront. While the Government maintains that the policy will need tweaking to address market issues, overall it is becoming clear that the policy has failed to takeoff. Bangalore Aviation presents an opinion piece by an external analyst below. In round one, five airlines were awarded 126 routes. Specifically, SpiceJet, Alliance Air, Deccan Air, Air Odisha and Trujet. As of last week only 16 routes were operational i.e. a 12.7% success rate. The regional routes operated were by SpiceJet, Alliance Air and Trujet. Alliance Air is a government-owned airline and thus effectively only two private operators started operations. In terms of new routes, SpiceJet was already in the regional market with its Q400 fleet, and made some good strategic moves by starting Mumbai – Kandla and Mumbai – Porbandar which likely helped it get much coveted slots at the saturated Mumbai airport. Deccan yet has to acquire aircraft and sources indicate that Air Deccan made a presentation to the ministry last week highlighting challenges. Air Odisha is yet to start operations. All of these routes are feeding metro cities, thus no truly “regional” route has been established. as yet. The crux of the Regional Connectivity Scheme was the Viability Gap Funding (VGF) that was to subsidise seats on sectors. This funding was to come by a levy on existing “mainline” operators on major routes upto a maximum of Rs 5,000 per flight. The private airlines were always opposed to the RCS and the levy but it seems that funds were neither collected nor demitted to the ministry. After much back and forth, a fresh notification was made to the airlines stating that effective September 1st funds would have to be remitted to the ministry and the airlines in turn are passing on this cost to the consumer by levying an irrational charge of Rs 50 per ticket. The collection and disbursement of this fund is to be administered by the Airports Authority of India (AAI) and the success or failure of management of these funds remains to be seen. The government managing a large pool of money to subsidise losses has not been such a great success in the past. Mumbai has indicated that it has no slots to give for regional operations, Delhi is asking for Hindon Airforce base to cater to regional flights and Bengaluru is in a position where it does not want regional flights but also does not want the old HAL airport to be opened for regional flights. Without adequate slots, the regional flights cannot feed into the metros and thereby the connectivity does not take place. The ministry’s view is that the regional flights should connect two underserved/unserved airports – which is a point well taken – however, the demand has not been adequately mapped out. In the second round of the RCS, the centre is now shifting most of the responsibility of the success of the scheme to the states. The draft policy indicates that the scheme will be operational only after State Governments’ buy-in and support for upgradation of airports, subsidies on fuel, security, taxes etc. Some states will undoubtedly move fast (such as Uttar Pradesh where there has been significant interest) however, others may be unable, or unwilling to do so. The results are evident in the airport infrastructure availability reports. Per the ministry – only 30 out of the 43 airports to be made operational for RCS flights in the first round will be operational by September. Airline sources indicate that most of the regional airports are VFR (Visual Flight Rules) only which means that only daytime operations are feasible which then has impact on aircraft productivity. Some of these airports are military airbases which compound the challenges as there are additional security considerations that have to be taken into account, multiple stakeholder inputs and concerns validated and operational assessments undertaken. The ministry in its wisdom has revised the scheme in the second round. However, these seem to be token revisions and once again made without much thought. For instance, while exclusivity has been taken away, a caveat has been added that for airlines granted exclusivity in the first round, if a second airline wants to operate the same route it has to seek a no objection certificate (NOC) from the incumbent operating airline. Overall the revisions are perfunctory and it private airlines have indicated that another round of revisions will likely happen again. The scheme as it stands has failed to takeoff. Policy-makers continue to believe in the out-dated theories that incentivizing losses rather than stimulating demand is the way to go. Industry experts indicate that three years of operations that are subsidized by viability gap funding will not suddenly become profitable in year four. Demand characteristics have to be addressed via connectivity (last mile and to metros), competing modes of transport and cost. The scheme only addresses cost and that too in an uncertain manner. An argument often cited is that the success of the scheme is confirmed by the aircraft orders of both Indigo and SpiceJet with which they will enter and strengthen regional presence. While the orders by Indigo and Spice are no doubt evidence of both airlines believing that smaller routes can work, I maintain that this is not a reflection of the scheme’s success. Both airlines will face immense challenges in leveraging this scheme going forward. The analyst does not wish to be identified as they are not authorised by their employers to speak to the media. Bangalore Aviation may or may not agree with the views expressed, which are strictly personal. Please share your comments on the piece. Do you agree or disagree and why?